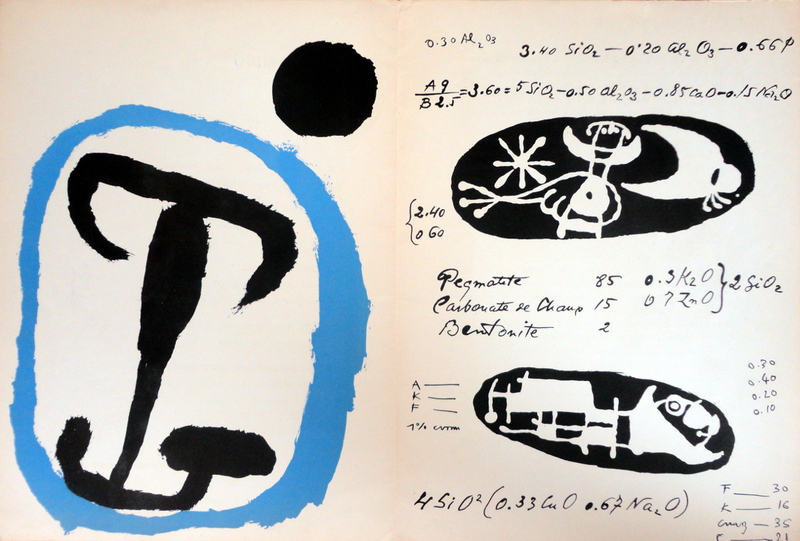 Joan Miro, Terres de Grand Feu, original colour lithograph, single sheet, 38 x 28 cm, and black reproduction 38 x 28 cm. DLM nos. 87-88-89 published in 1956 on the occasion of the artist’s exhibition of 34 ‘Terres de Grand Feu’ created in collaboration with Josep Llorens Artigas.